With the traditions of Christmas and other holidays around, Ten Factorial Rocks takes a road less traveled. One of this site’s goals is to find meaning, and it is about ‘finding yourself’ in a spiritual sense. Today, I am presenting an unbroken ancient tradition for over 10,000 years – the oldest recorded continuous human tradition. Unless you have traveled in India and spent some time covering its ancient wonders and rich cultural heritage, you may not be familiar with what I am referring here. A river is honored every evening for over 10,000 years. I am talking about the Ganga Aarti – a fire prayer ceremony conducted every evening along the banks of India’s vast, storied river Ganga. It’s a tradition some say dates back to the beginning of mankind and has been followed continuously over millennia every day without interruption. Every evening, thousands of devotees, pilgrims and tourists descend upon the river banks in India’s holy towns like Rishikesh, Haridwar and Varanasi where the river Ganga flows through, to witness this Aarti spectacle. 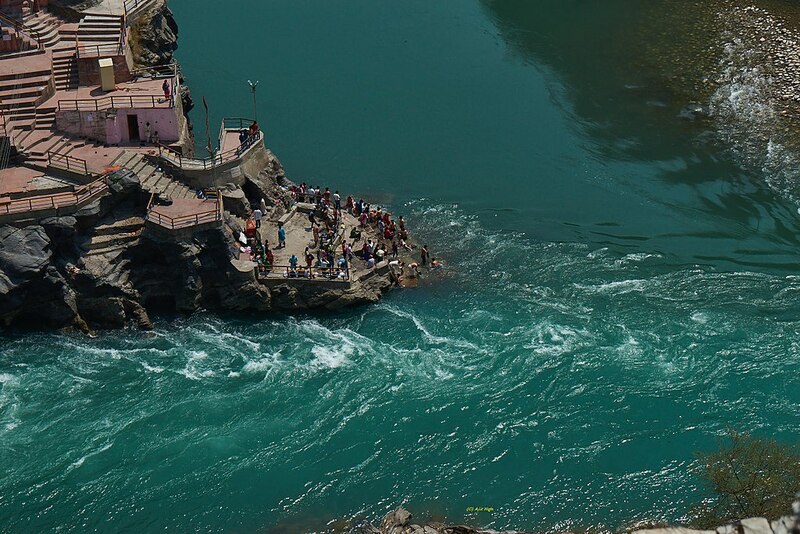 The river Ganga has deep connections with India’s heritage and its major religion Hinduism. For Hindus, the river is mystical and sacred, so the ultimate wish for a devout Hindu is for his/her cremated ashes to be dispersed in the river Ganga. Ganga originates in the Himalayas from the snow-covered Gaumukh in the Gangotri mountains (a source which is still not fully known). From there, it winds its way down through the mountains to Uttarkashi and then down to Rudraprayag and Devprayag and further down till it reaches the holy town of Rishikesh (where The Beatles went to an ashram in 1968 for their spiritual journey, other celebrities have followed since). Then, it flows down to Haridwar (“the gateway to the Supreme”). The water is deep and the currents are strong as the terrain is mountainous till here. After Haridwar, the river slows down as it enters the ‘plains’ of India’s most populous state called Uttar Pradesh, where it flows into two other holy towns of Allahabad and Varanasi (the ancient seat of learning in India). 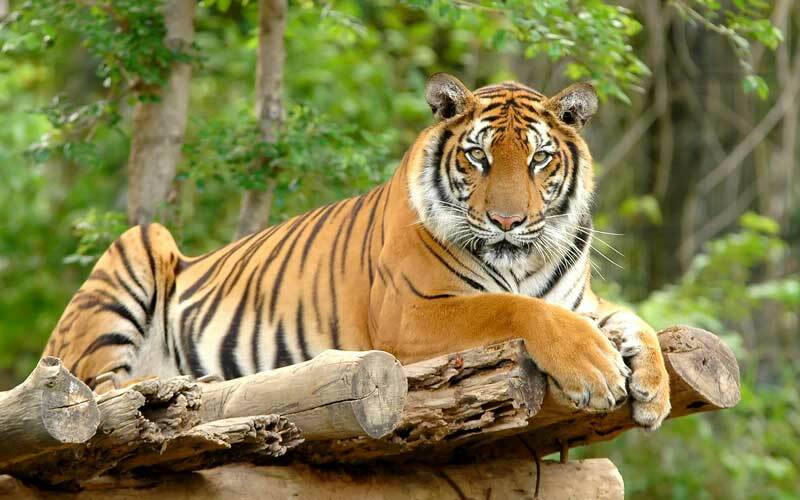 It continues on to join the sea at Bay of Bengal near Kolkata, at a place called Ganga Sagar (“Ganga & Sea”), where lush tropical green forests along the river’s tributaries in Sundarbans (“beautiful forests”) have made it a haven for the famous Royal Bengal Tiger. The river’s journey of nearly 1600 miles is filled with history and culture dating back thousands of years. I am sharing pictures of this famous river for you all to travel along with me. I took some pictures on my trip but there were also some nice ones on the net so I chose whatever conveyed the scenery better. Altitude data in the pictures would give you a feel of how much the river ‘descends’ along its journey before it ultimately joins the sea. You can do adventure rafting at select places (where the Indian government allows). You have to be good at it as the river’s currents are strong in many places until you reach the plains, and there are sharp rocks and big boulders on the river bed. These rafting locations are near Rishikesh. Gaumukh, the cave at Gangotri in the snow-capped Himalayas where the river Ganga begins its journey (Alt. 14,000 ft.). Nobody I asked could answer how the water comes to Gaumukh. A Hindu scripture says it originates from the head of a powerful God Shiva. The emerald-hued river flows past Uttarkashi (Alt. 3,800 ft.) in the backdrop of the Himalayas. The Ganga as it enters Rishikesh (Alt. 1,200 ft.) from Devprayag. The Ganga at Haridwar (the place where Hindus believe the divine nectar fell), Alt. 1,000 ft.
You will see people float small lamp boats made of natural leaves on the Ganga to honor their departed loved ones and bring the families good luck, like the Loy Krathong festival in Thailand that Joe at Retireby40 covered. 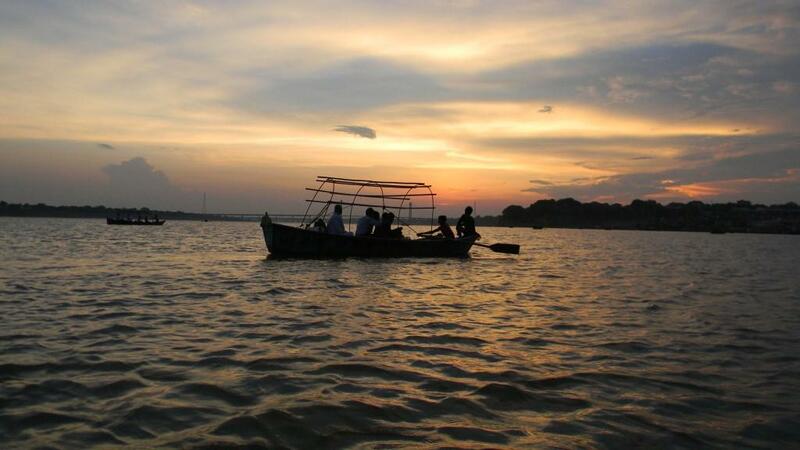 The river then moves along the vast plains of India’s northern state Uttar Pradesh and reaches Allahabad. Varanasi, holy town of temples and ancient center of Hindu spiritual learning where the River Ganga appears calm like a lake. Alt. 265 ft. Img credit: Lonely Planet. A Hindu holy man taking a dip at Ganga Sagar where the river gently merges into the sea (Bay of Bengal), Alt. 0 ft.
A journey of 1600 miles starting from an altitude of 14,000 feet ends at Ganga Sagar. It is hard to describe the feeling once you fully understand the history behind this ancient river. I felt a strange sense of closure and peace on seeing the Ganga in different places. I was thinking about this memorable trip in Northern India while I was relaxing at my suite on the 64th floor of the JW Marriott in Dubai. The view that, oddly enough, inspired me to write this post is next. Thinking about Ganga while looking at the Dubai Creek, from my 64th floor suite of JW Marriott, Dubai. What a contrast, right? At the end of this post is a video of the Ganga Aarti that I felt privileged to witness along with thousands of visitors, some from Europe, U.S, Canada, Latin America and Japan. Some say India is an assault on the senses, but despite the cacophony, there is something about this experience of Ganga Aarti that stays with you. Even if you don’t believe in its mystical or metaphysical symbolism, you can see it as a beautiful honoring of a vital natural resource that has nurtured millions of people, flora and fauna over generations. For me, it was a soul-satisfying experience – the flames from the aarti lighting the dusky ambience, soft reflections on the flowing river, and the coordinated rhythmic movement of the priests doing the aarti, amidst sonorous chants honoring the river – all came together to make for a memorable experience. Above all, being part of an unbroken tradition of over 10,000 years in human civilization makes you wonder at both the vastness of collective human history and your own tiny existence as one soul who just happened to be there at that time. If your travels in the future include India, consider seeing the Ganga aarti in Haridwar or Rishikesh. If you are the adventurous kind, you can trek up to the upper reaches near the Himalayas. The road from Rishikesh on up till Gangotri is prone to landslides and floods during the rainy season, so the window for tourists is brief, typically in early Summer and late Fall (before Winter). The locals call it the ‘Land of Gods’, read more here. Journey safely, my 10! friends, and…find your own meaning. Happy holidays! It is rightly said “Incredible India”. The beauty of Indian nation lies in its rustic towns by the Ganga. It portrays the soul of India and shows how our cultural values were built up. The river truly runs through the soul, an amazing mixture of the ancient and the modern. Tall buildings and money cannot compare to the simple yet magnificent beauty of the places along River Ganga’s course of journey. Thanks Sanjib. The trip was fun and entirely different from a typical vacation. Interesting. While I’ve spent significant time in India for work, other then the Taj and some local temples I’ve never been out of the major cities. What first took you to India? Same here, FTF. Spent a lot of time in India for work, and so got to see its many interesting sights. It takes a little getting used to but I found India will open her doors to welcome to any willing learner. There is a subtle order to the apparent chaos in the country that only a long-term resident will understand.